Clearwater Residences enthralls the mind, body and soul into a sphere of modern serenity. The entire experience of arriving home is heightened by the adept precedence of texture, form, light and space. The natural features coupled with lush green landscapes takes you into a private realm where the comforts of two worlds seduces each other. Damansara Heights is Klang Valley's most exclusive neighbourhood, just minutes away from the hustle and bustle of the city. 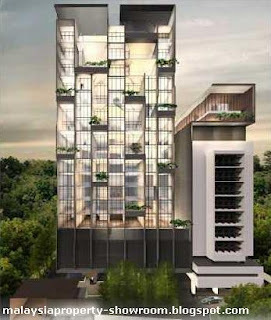 Clearwater is located high up on a hill, with breath taking KLCC view. Built-up Area : 800 sq.ft. - 4,000 sq.ft.